It is very easy – and free – to subscribe to our Fifa football World Cup 2018 fixtures calendar with Outlook. Just follow the steps below to “sign up” to our dynamic ical-calendar and you´ll automatically receive results and updates during the Soccer World Cup championship in June/July 2018. Ical Calendars are calendars that are shared – webbased – through the Internet. These calendars are based upon a global standard that allows calendar information to be shared between all apps and devices using this ical-ics-standard. For example this ical-standard is used by Google Calendar, Outlook, all Apple devices (iPhones, iPads, Apple Calendar) and all Android smartphone apps. Ical-Calendars use the iCalendar format and the .ics file name extension. The link (URL) of these calendars is an Internet Web address that begins with webcal://, instead of http://, and ends with a file name that has the .ics file extension. 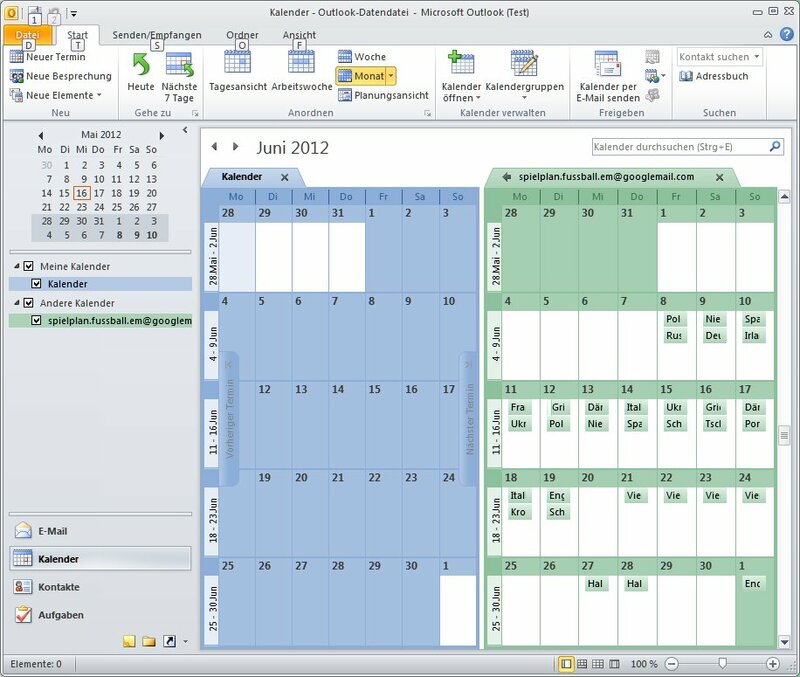 This is how to subscribe to the World Cup 2018 fixtures calendar with Outlook (sorry, German images). Step 1. 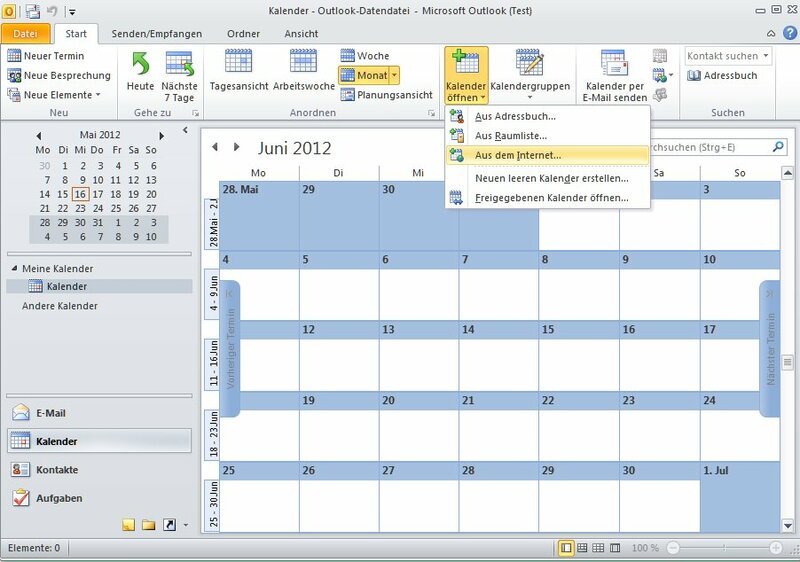 Open Outlook, go to calendar. Step 5. Now you have (at least) 2 calendars in your outlook: your own and the new Fifa 2018 World Cup calendar. You can blend in and blend out the additional calendars by checking the boxes on the left hand side. The Fifa World Cup 2018 data starts on June 14th 2018. England-Wales is at 2pm, but England-Russia is at 8pm.